Taxpayers and their agents can sign up and participate in a voluntary Making Tax Digital for Business, Income Tax pilot scheme. This will allow you software to transmit your accounting data to HMRC every three months. You can sign up now and live data is sent from April 2018. This is entirely voluntary. The idea is that you will file five tax returns per year instead of one. Your accounting data will be used to access your income. You will not need to provide futher information unless of course you need to try and correct errors. There will be a final tax return at the year end. This is very much a test pilot and it may well be that aspects of the service will change. There are only two software companies that so far make useable software for the pilot. 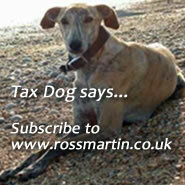 HMRC will not provide any free software. The Making VAT Digital (MVD) pilot opened on 16 October 2018. MVD is due to become mandatory from April 2019, although there are doubts about this timetable due to lack of compliant software, Brexit and general technological issues. Those who will not be available on a quarterly basis to send in data. Ask you adviser if you decide to take part in this pilot and wish to delegate to them. The main concern from agents is that MTD will add a huge extra compliance burden for firms. Four new deadlines wil be introduced to agent compliance duties for non-VAT registered business. A key issue is the lack of functunal and affordable software. With so little choice on offer in this pilot, the data HMRC obtains from the pilot is likely to be skewed and of poor value. There are concerns about broadband and a feeling that clients are generally not good enough at bookkeeping to be trusted. The latter point makes sense, clients who use agents do so for a good reason, they like to delegate their accounting and especially their tax work. Agents have had a lot of difficulty with the new trust registration deadline and HMRC's recent statistics for PAYE Real Time Information Reporting and Employment Related Securities reporting indicate a very high level of ignorance of reporting obligations by taxpayers.